★★★★☆ Great Solid State Drive at a decent price. Most Solid State Drives are twice the price, but the 90 USD savings made this dive affordably available. This is great if you need a faster system if a processor is not an issue and boost performance by a decent percent. Would recommend. ★★★★★ There is a type of ssd that has come out recently I think its the nyme or something like that. The ssd looks like a memory module and they are super duper fast if they work in your machine. They are about 10 times faster than these SSDs. However for a ssd drive these still beat the regular hard drives and are faster than Seagate's Firecuda which is a nice hybrid hard drive. Not much storage but the boot times are much better. I suspect the price will keep going down as people realize that ssd is the only way to go. ★★★★★ This SSD is without equal for the price! I have read in the mid to upper 500 MB region. I should have purchased two more of these when I had the spare money. 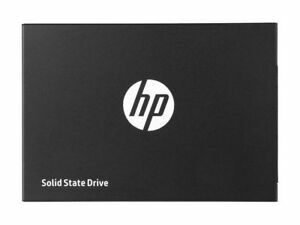 ★★★★☆ This DRAMless HP700 SSD works well, easy install, fast and inexpensive. A good value in my opinion. ★☆☆☆☆ Once I received i've plug the ssd to an enclosure and doesn't recognize it. After that I've tried to connect direct in two different Windows computer/laptop and even in direct connection doesn't works. The SSD I've received is a brick from the box.